Back in May, the world’s biggest Kubernetes users and contributors gathered in Denmark for KubeCon + CloudNativeCon 2018 Europe. One of the topics we were keen to see addressed at this meeting of the minds was the future of Kubernetes, and the Cloud Native Computing Foundation (CNCF) as a whole. 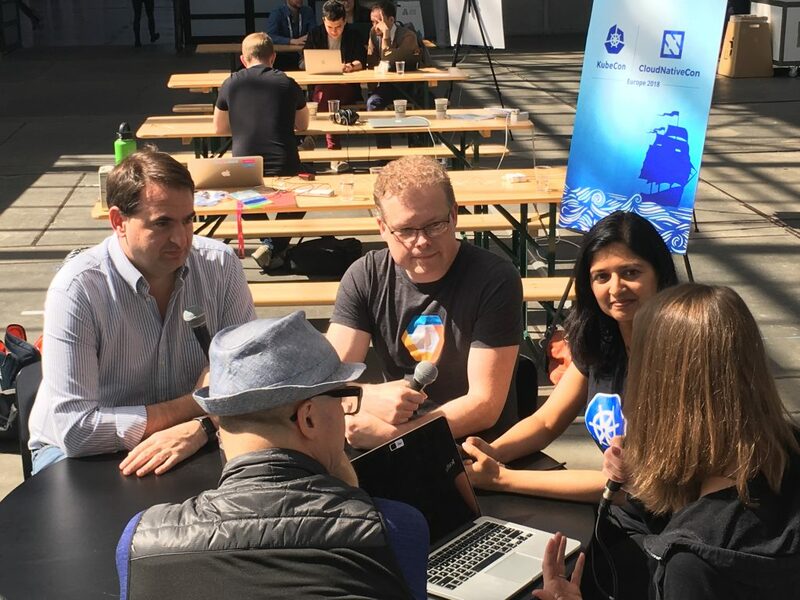 To find out just what is being done to prepare the Kubernetes project for the long haul, we sat down with Jaice Singer DuMars, open source software governance program manager at Google, Aparna Sinha, group product manager for Kubernetes at Google, and Dan Kohn, executive director of CNCF. The Cloud Native Computing Foundation (CNCF) is driving adoption of a new computing paradigm that is optimized for modern distributed systems environments, including container packaged, dynamically scheduled, and microservices-based application development and operations. Sinha said that the CNCF has been helpful by providing a budget for the Kubernetes team. As a result, the team is now considering bug bounties and expanded testing as a good use for these funds. Another thing the CNCF is working on is certified releases. With so many vendors and cloud implementing Kubernetes on their own, Kohn said that conformant distributions are essential to providing predictability and reliability to the ecosystem. DuMars said that this type of work is about focusing on the needs of the users, while also addressing the needs of the vendors. “I think at its core, governance is really about fusing the needs of the community and the needs of the users of the product together. Governance in its best form is a way of providing transparency, and audit-ability across how decisions are made. Google is really serious about transparency and trying to have super healthy, inclusive, and diverse communities, and governance is a way of leveling the field in that regard,” said DuMars. 4:17: How do you expand the community to include a more diverse set of contributors? 6:02: What’s the role of the CNCF in expanding the community? 10:50: What do developers want to see in Kubernetes? 13:54: How are you planning to adapt the governance model as Kubernetes grows? 19:36: How do you plan to handle long-term stability and updates to Kubernetes as serverless grows? 25:04: How does Kubernetes deal with continued growth? The Cloud Native Computing Foundation sponsored this podcast.